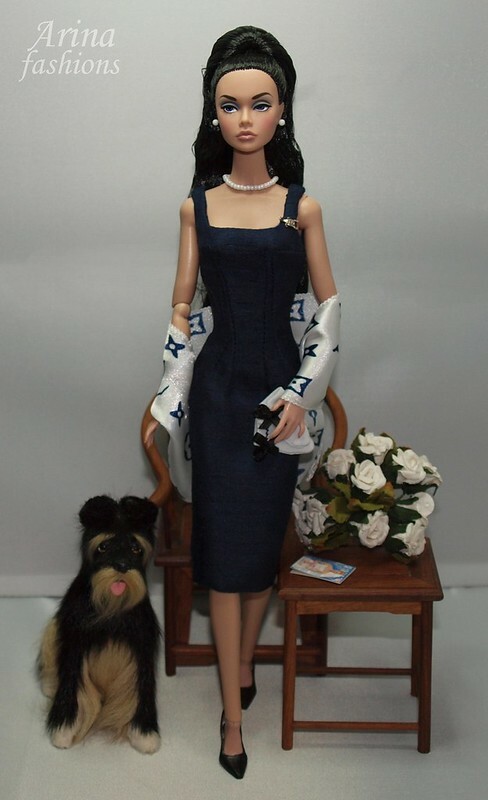 This lovely OOAK outfit was custom tailored to fit Silkstone Barbie, Monogram dolls, FR2 and Poppy Parker dolls. 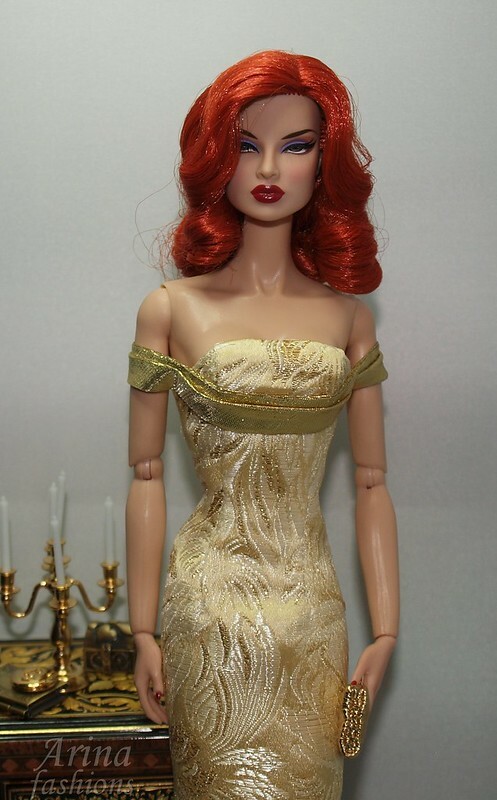 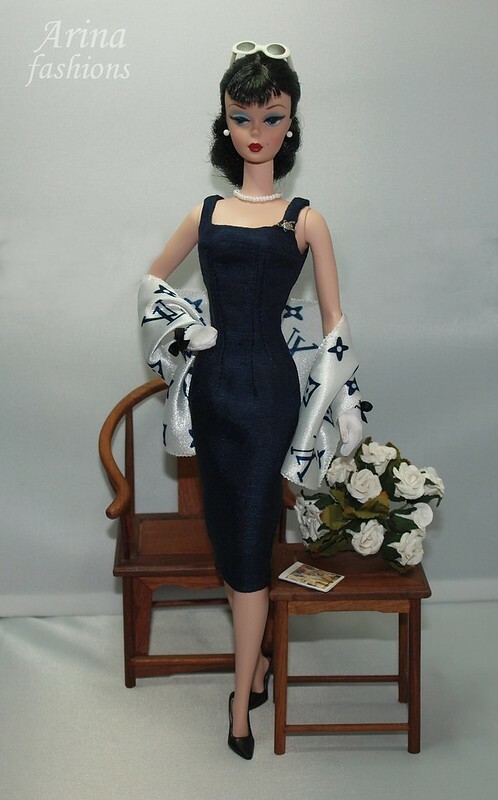 This OOAK lovely outfit was custom tailored to fit Silkstone Barbie, Monogram dolls, Poppy Parker, FR2 and Fashion Royalty dolls. 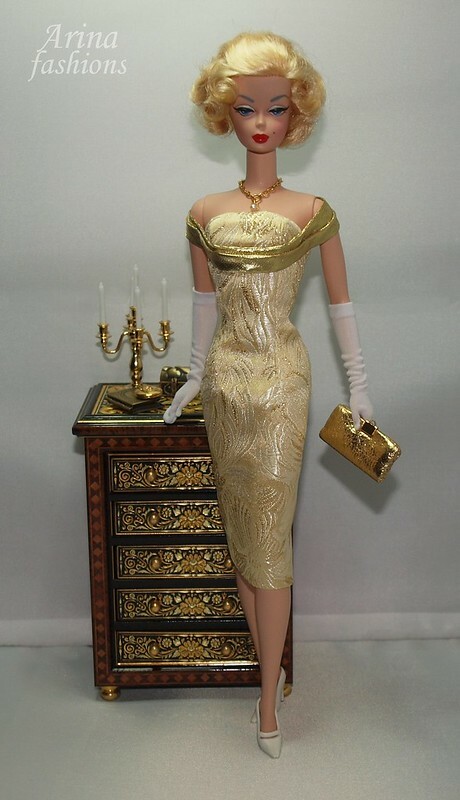 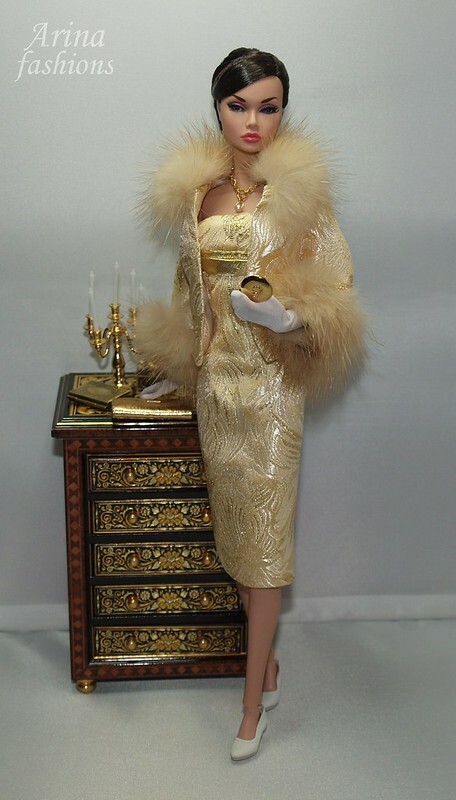 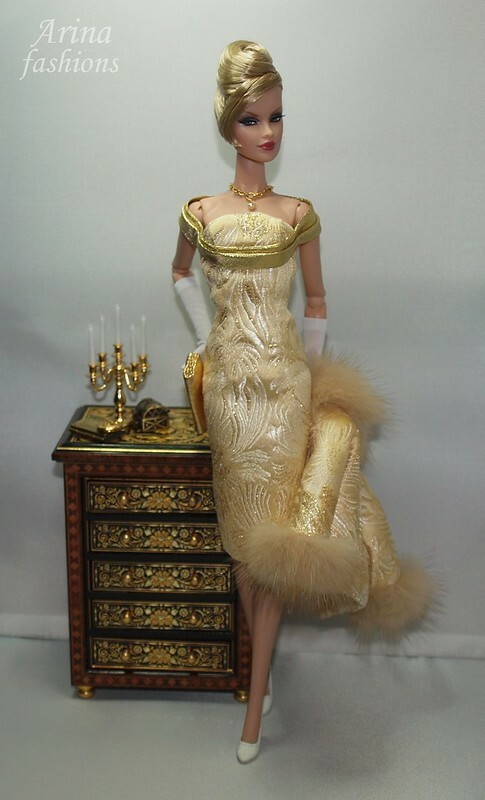 The fashion includes the dress, jacket with mink, gloves, necklace, purse.